If you collect arcade games at all then you know that it can be rather difficult to find room for the cabinets at times. 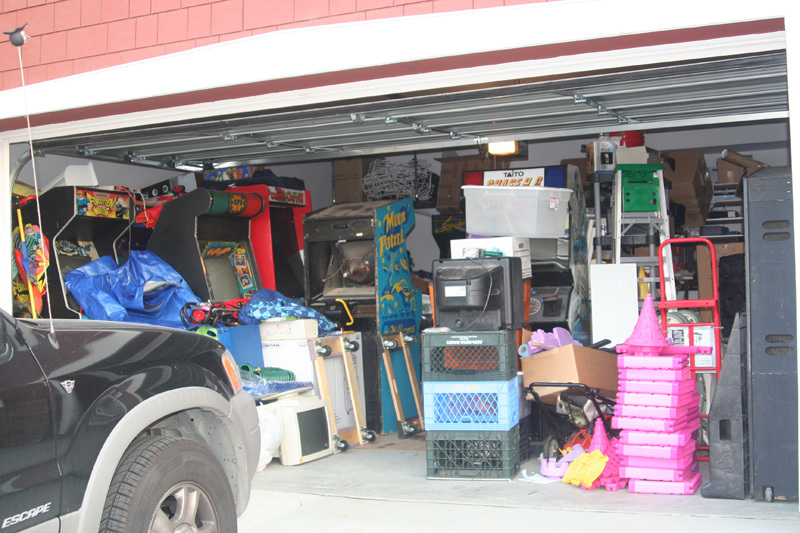 If you have a garage the hobby of collecting games can quickly pile up and after the garage is full, then it starts creeping into the house. If you live with someone else, say your significant other, roommate or your parents it can become difficult to convince them to let you continue on collecting at that point. I’m lucky up to a point with my wife as every game I get “is for the business” (which it is, honestly) but not everyone can use that excuse. I’m not sure what explanations other collectors use but when you start getting cabinets put in the bathroom then it does make me wonder how they pull that off. So does anyone else have a problem with finding space for arcades around everything else?